Memorial services are scheduled for 10 a.m. Saturday, April 2, at Terpening & Son Mortuary for Doris Faye Jackson. In the early morning hours of March 18, 2016, Doris passed away peacefully in her sleep at the age of 67. She was born Aug. 16, 1948, in Fort Worth, Texas, to James Henry and Mary Ellen Camp. They later moved to New Mexico. 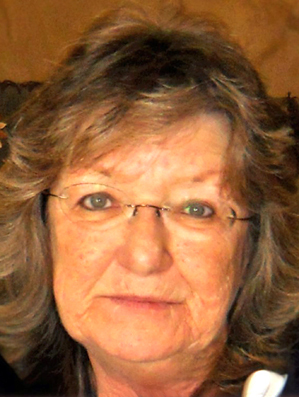 Doris was a 1966 graduate of Lovington High School and attended a business school in Lubbock, Texas, but returned to New Mexico, where she was a longtime resident of Loco Hills and Artesia. She owned Pampered Threads in Artesia from 2001-11. She spent the last few years in La Vernia, Texas. She was an avid Cowboys fan and was loved by many, who knew her as Dodo. Survivors include sons Chad Jackson and wife Angie of La Vernia and Keith Jackson and wife Misti of Artesia; daughter Jennifer Tabor and husband Donny of Artesia; grandchildren Carter Jackson, Ryleigh Jackson, Devny Olivas, Logan Tabor, Hunter Gregory, Trapper Gregory, Cody Tabor, Sharayah Parra, Caitlin Jackson and Kyle Jackson; three great-grandchildren; sisters Sandra Speir of Albuquerque and Carolyn Heavington and husband Royce of Lovington; and several nieces and nephews. She was preceded in death by her parents, James and Mary Camp; and sisters Lou Ellen Camp and Pat Cottrell.